Red Letter Ending, a series at Riverview April, 2011. 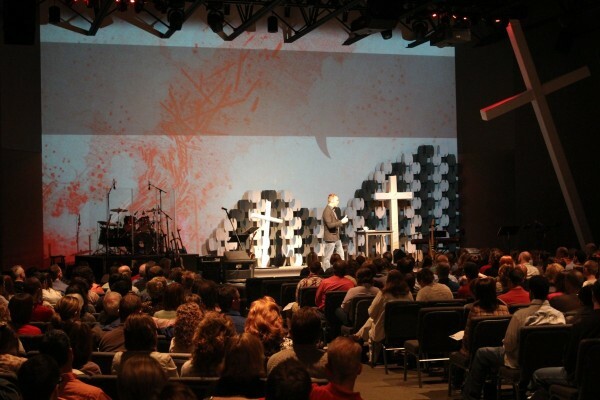 This is the set for our Easter series in 2011. The structure against the wall is an assembled product from MIO called the Nomad System. 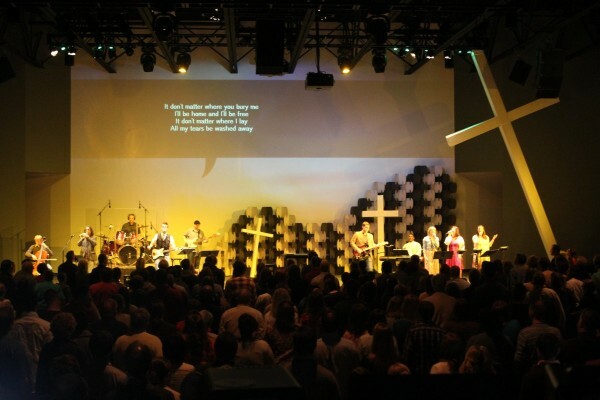 The Two smaller crosses on the floor are built with a combination of steel framing track and wood 2×4. 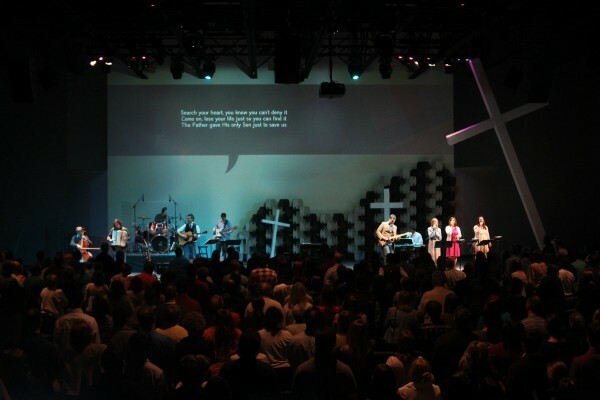 The larger cross at an angle from floor to ceiling has a box truss vertical structure and a wood/steel horizontal structure. All three crosses are covered with white fabric which is stapled on the back side.